On Friday US judge Lucy Koh granted Apple a preliminary injunction against the sale of Samsung’s Galaxy Nexus smartphone. Last week the same judge handed down a ban on sales of Samsung’s Galaxy 10.1 Tab inside the US. Apple and Samsung have been at each other’s throats since April last year, battling it out over alleged patent infringements in courts around the world. Apple claims that the Korean electronics maker “slavishly” copied a number of features of its iPhone and iPad mobile devices in the design of its own products, such as the Galaxy tablet and Nexus smartphone. 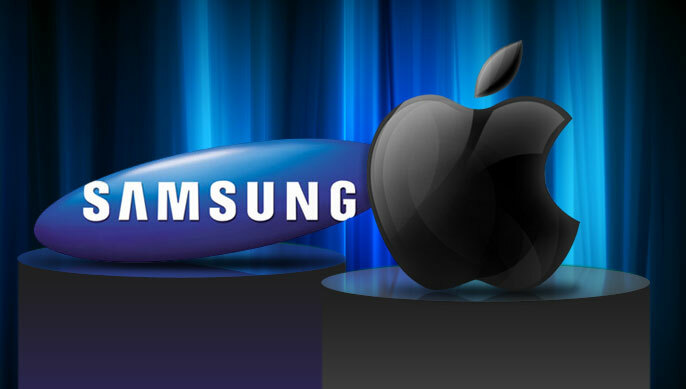 Samsung has hit back at Apple with patent-related accusations of its own. The Android-powered Galaxy Nexus, which was developed by Samsung and Google, hit the market late last year and is the search giant’s flagship smartphone. Friday’s injunction is subject to Apple paying a $96 million bond, substantially more than last week’s $2.6 million bond, but still peanuts to one of the world’s biggest companies. The purpose of the bond is to protect against damages suffered by Samsung if the ruling is later found to have been wrong. The temporary injunction will at some point be the subject of a court trial, where it will either be made permanent or thrown out. As things stand today, Apple will be more than happy with the way things are progressing, while lawyers at Samsung will be looking at whether they have any chance of overturning Friday’s decision. The road to smartphone dominance in a fast-growing market now worth billions of dollars is clearly a long, as well as costly, one.